As the smart devices blooms, apps walk into our life. While most AirPlay apps are limited to iDevices and Mac, sensory pleasure is shackled somehow. AirPlay is a great new feature of iOS 4.2 (and later generations) and Mac of 2nd generation Intel Core processors or later that enables wirelessly streaming video and music from an iOS device/Mac to Mac/Apple TV. Apple has since licensed the AirPlay protocol stack as a third-party software component technology to many apps in order to be compatible with Apple's iDevices. As for how to free use AirPlay enabled apps on Mac, you have other better ways except the native AirPlay of Mac. 5KPlayer is the best free AirPlay enabled app on Mac, compared with other fee-based or unclean programs. It can seamlessly AirPlay media files from iDevices/Mac to Mac/Apple TV. A number of apps hit the market with AirPlay-enabled function, such as music streaming APPs including AirPlay YouTube Music APP, AirPlay Pandora, and the like. Apple even posts a Great AirPlay-Enabled Apps section in iTunes recently, which means these apps are optimized for use with Mac. 5KPlayer, being one of the best AirPlay enabled apps on Mac, is developed in an effort to expand what you can do with your iDevices/Mac. With 5KPlayer, you can stream content straight from your iPad, iPhone, iPod Touch and Mac to your Mac/Apple TV. Compared with native AirPlay on Mac, 5KPlayer is simpler to project your iOS devices/Mac screen to your Mac/Apple TV and can create a seamless mirroring experience to any user. 5KPlayer isn't designed with AirPlay simply for AirPlay's sake but for simplifying and optimizing it. Demonstrating new dimensions of functionality, 5KPlayer is armed with lossless real-time mirroring ability and user-friendly interface. 5KPlayer allows you to receive and send projecting files on your Mac, while you continue to browse contents on your iDevices/Mac. 5KPlayer supports using your Mac as a display or speaker and access music and video content from apps on iDevices/Mac. Some good free options for 5KPlayer to stream are Slacker, Pandora, iHeartRadio, SoundCloud and Vevo HD, the last of which also offers music videos. Have a shot at them and enjoy bigger screen and better speaker for apps! How to Use AirPlay Enabled Apps on Mac with 5KPlayer? iPhone is chosen as an example to illustrate how to use the best AirPlay enabled app-5KPlayer on Mac. Step 1: Download and launch this free AirPlay enabled software-5KPlayer on Mac. Step 2: Set AirPlay on 5KPlayer from Preference>AirPlay, and you can name your computer to distinguish it from other AirPlay receivers and set a password to block unwanted mirroring. Step 3: Click the AirPlay icon on the top right to activate AirPlay (the icon will turn bright from dark after successfully activated). Step 4: Swipe up the control panel to activate AirPlay and select the target streaming device. Note: Only when the iDevices mirroring media share the same WiFi with Mac can this mirroring be successfully exercised. Files formats supported by 5KPlayer are limited, and only MP4, M4V, MOV, MP3, M4A and AAC are accepted by AirPlay. If your file format is not one of them, you may need a video format converter. 5KPlayer, equipped with main features of AirPlay, can do a lot more than being the best AirPlay enabled app. It can act as wireless audio receiver as well as AirPlay receiver. With traits of light weight and intuitive interface, 5KPlayer offer you better user experience beyond your expectation! How to AirPlay from Windows 10 to Apple TV?This is a tutorial of AirPlay from Windows 10 and Windows 7/8/8.1 to Apple TV without installing any third party utility on client's devices. AirPlay YouTube Music APP iPhone Android: Enjoy YouTube Music OnlyAirPlay from YouTube Music APP on iPhone Android to Windows,Mac speakers gives you a new YouTube music adventure. This YouTube Music APP Android iOS handles the problem how to play YouTube in background well, and AirPlay YouTube Music APP renders lossless music even better. Best WiFi Audio Receiver to Stream Audio from iPhone/iPod/iPad to Mac From this article you can learn how to use WiFi audio receiver to stream audio from iPhone/iPod/iPad to Mac and get suggestions on choosing a good WiFi audio receiver. * Play videos in H.265/264 FLV MKV WMV etc and DVDs. * Play internet radio, MP3 music, FLAC AAC and more. * Download video/music from YouTube. * AirPlay from iPhone iPad iPod to Mac PC Apple TV. * AirPlay MP4 M4V MOV Videos MP3 AAC Music. ● Rip&back up region DVD. ● DVD to MP4, H.264, AVI. 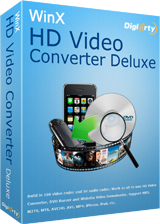 ● Convert FLV, AVI, MKV, etc.